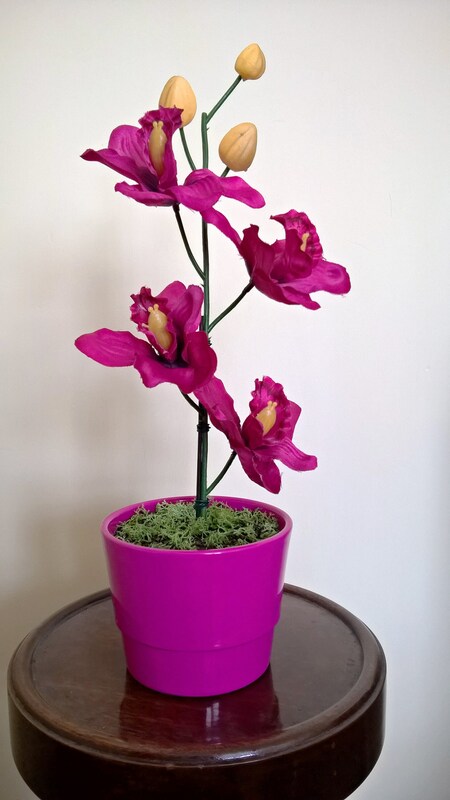 Standing in a deep pink terracotta pot stands this beautiful artificial Orchid plant. 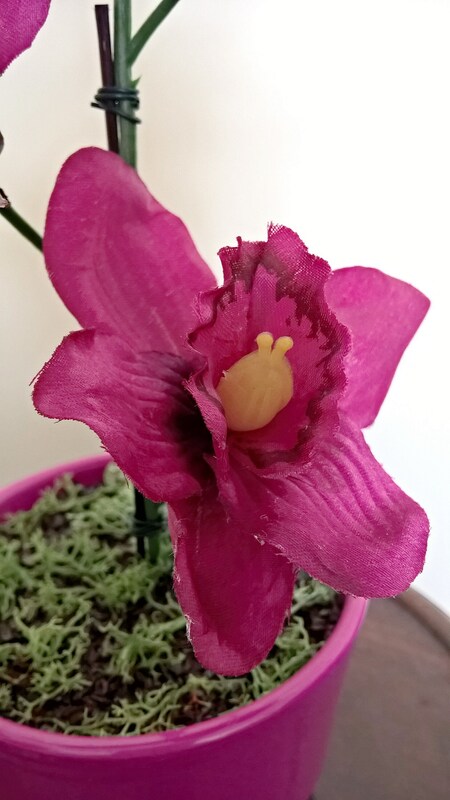 With 5 open flowers and 3 buds, this arrangement is suitable for any room in the home. This is a one off creation which would make it a unique and special gift.